Wage growth has been so slow in recent years even the International Monetary Fund has taken notice. They’ve even discovered the reason: the Reserve Army of the Unemployed and Underemployed. Low wages are a vestige of the crisis. Almost eight years after the height of the crisis, laid-off workers continue to re-enter the labor force, which affects average wage growth. This so-called decomposition effect occurs when new employees are hired for less than the average wage rate. When a worker finds a new job after a long unemployment spell, his or her wages tend to be well below that of peers who remained employed. As a result, these new hires bring down the average hourly wage rate—that is, the rate across all workers. wage growth for a broad segment of workers is also lower than a decade ago. For instance, wages of so-called job stayers—the vast majority of U.S. workers who remain at the same job—have risen 3.5 percent this year, a full percentage point lower than before the Great Recession. Similarly, earnings in the middle of the wage distribution—the 50th percentile—are also seeing less gains than in the past: they have risen by 3.2 this year compared to 4.1 percent during 2000–07. The same is true for workers in services and other sectors. In other words, the existence of the Reserve Army and the movement of workers out of the Reserve Army has had the effect of dampening the wage increases of both rehired workers and of workers who remained on the job. All workers have therefore been disciplined and punished by the Reserve Army of Unemployed and Underemployed workers that was created by the crash of 2007-08. But, as it turns out, Danninger doesn’t have a long enough view. 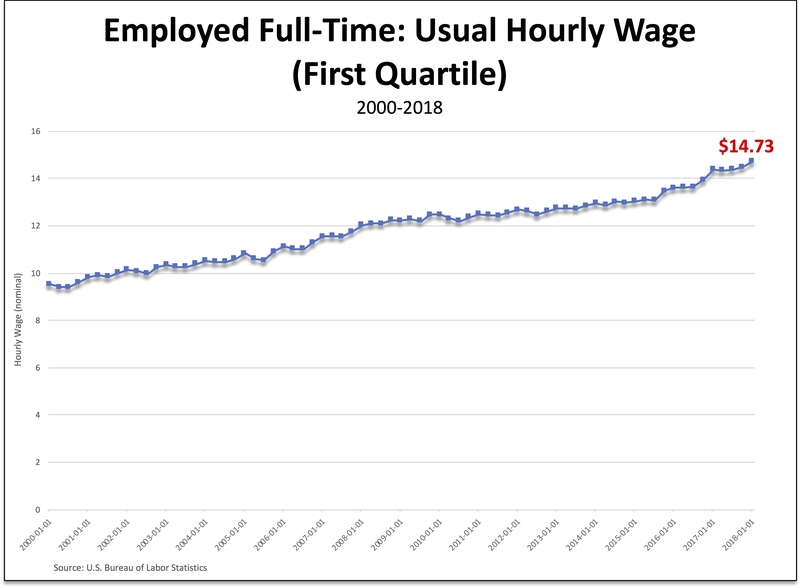 While wage increases in recent years have been less than workers saw before the crash (e.g., 2005-2007), workers’ wages have been growing at a relatively slow rate for decades now, beginning in 1986. Whereas wages grew at a rate of between 7 and 9 percent a year from 1969 to 1981, those increases have fallen dramatically since then, hovering between 1.5 and 4 percent a year. The conclusion? American workers have been disciplined and punished not just since the crash, but for at least three decades. That’s why their employers’ profits have skyrocketed and why the working-class itself has fallen further and further behind the tiny group at the top of the U.S. economy. Reading the current debate about how we should approach the teaching of introductory economics, it’s clear the participants actually need to go back and take Epistemology 101. Now, I’m the first to argue we need to change how we approach Econ 101 (as readers of this blog know). It’s a key course, because it’s the only economics course most college and university students will ever take: it’s where they’re introduced to the kinds of approaches and policies academic economists work with; it’s also a space to discuss the economic dimensions of individual and social life, both historically and in the contemporary world. Given the hundreds of thousands of students who every year are exposed to economics through such a course, its content is crucial. The course, however, is also often badly taught. That’s in part because the material is many times presented in a mind-numbing manner, as a set of ideas and facts that need to be memorized in order to pass quizzes and exams. But, even more important, it’s because many of those ideas and facts—from the effects of minimum wages to the patterns of international trade—serve to naturalize both mainstream economic theory and the economic and social system celebrated by mainstream economists. In other words, students are generally taught that the limits of debate are defined by the parameters of mainstream economics. An economics 101 textbook is a treasure. The information therein captures the leaps forward in intellectual history, in our understanding of society — indeed, in our understanding of daily life. . .
Look. Understanding society and the economy is tough business. Economics 101 textbooks have a large responsibility to do that right and well. Does the theory of comparative advantage presented in 101 tell you most of what you need to know to understand the Trans-Pacific Partnership trade agreement? Nope. But that’s a ridiculous standard to hold for an intro class. Are economics 101 textbooks perfect? Of course not, and they can and should be improved. But existing 101 textbooks are one of the best tools society has to prepare young people for responsible and informed citizenship. James Kwak, following Noah Smith, argues Econ 101 should be based on a combination of the mainstream theoretical models Strain wants to focus on (which, in Kwak’s view, provide “some incredibly useful analytical tools”) with empirical studies. A friend and labor economist said to me that when thinking about the impact of a minimum wage, the natural starting point is the supply-and-demand diagram, because it’s so powerful—but you don’t stop there. The model is incomplete, like all models, and if you don’t realize that you will make mistakes. Professional economists know all this, and hence many think that models need to be balanced by empirical research, even in first-year classes. Strain doesn’t buy this because “economists’ empirical studies don’t agree on many important policy issues.” I don’t understand this argument. The minimum wage may or may not increase unemployment, depending on a host of other factors. The fact that economists don’t agree reflects the messiness of the world. That’s a feature, not a bug. Here’s the problem: both sides of the current debate (Strain as well as Kwak and Smith) treat theory and facts radically separate from one another. Thus, for them, there is one theory (separate from the facts) and one set of facts (separate from the theory). This is where Epistemology 101 comes in. If the participants in the current debate took such a course, they’d learn that the idea of separate theories and facts forms the basis of only one theory of knowledge (which comes in two forms, rationalism and empiricism). But they’d also learn there’s an alternative theory of knowledge, according to which there are different theories and different sets of facts. Each theory has its own set of facts (and, of course, its own validity criterion). And, of course, these different theories and sets of facts interact and change over time. 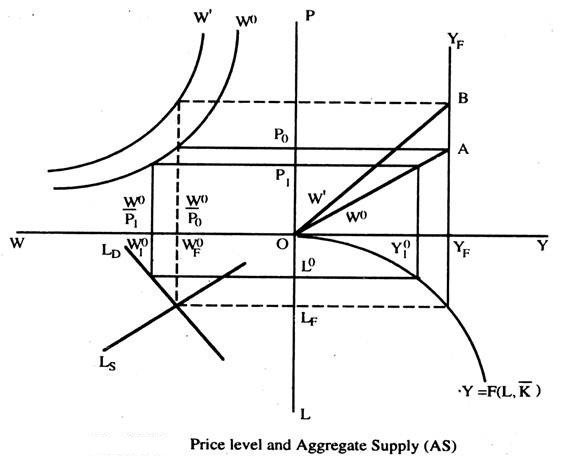 From the perspective of the second theory of knowledge, then, the professors of Econ 101 would introduce students to different economic theories (neoclassical supply and demand, to be sure, but also other theories that serve as criticisms of and alternatives to neoclassical economics) and different sets of facts (including wages that are equal to the marginal productivity of labor as well as wages that are equal to the value of labor power, after which there is exploitation). And they would include the complex, discontinuous history of those theories and facts, including the debates amongst and between them. Now, that would be an introductory economics course worthy of the name—and one that is consistent with Epistemology 101.